Discussion in 'Official Tournaments' started by tjdaas, Apr 16, 2018. -If you haven't already done so, read the above links to avoid any future problems. 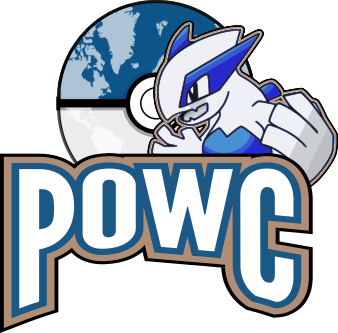 -SM matches must be played on Pokemon Showdown, all past gens matches can be played on either Pokemon Showdown or Pokemon Online. Also, please play on registered accounts. GSC OU: @TraceofLife vs. @Yes. The deadline for this week is April 22th, 23:59 GMT -4. Goodluck and Have Fun! are we playing with recent drops? H.M.N.I.P, amber lamps, Ranshiin and 9 others like this. H.M.N.I.P, .superman and Moony like this. Der Sweitzer, gslure, Akiko Yosano and 2 others like this. real xray, Der Sweitzer, gslure and 3 others like this. .superman and Moony like this. CBU, Mysterious M, H.M.N.I.P and 5 others like this. Felix-, Der Sweitzer, Akiko Yosano and 1 other person like this. Yoppie, psychic mewtwo, beiyingtest and 4 others like this. won vs tdk in a gg. 4 more to go team! JohnYiu, amber lamps, christos21 and 5 others like this. [ly]expurement, Yoppie, bakebun and 4 others like this. [ly]expurement, Yoppie, psychic mewtwo and 3 others like this. Laz (GR), Yes., christos21 and 5 others like this. [ly]expurement, real xray, Yoppie and 5 others like this. Capt.Knightwalker, gengar17 and JohnYiu like this. Spl4sh got subbed out. I haxed and won vs his sub, Get Backer. [ly]expurement, fsk, psychic mewtwo and 4 others like this. beiyingtest, [ly]expurement, fsk and 3 others like this. real xray and La.Melle2402 like this. NaCl, Atli and Lopunny kicks like this.